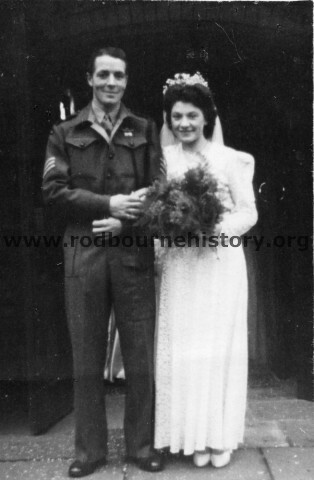 Additional Information – This is the entry of Ken & Doris’s marriage into the St Augustine’s Marriage Register. 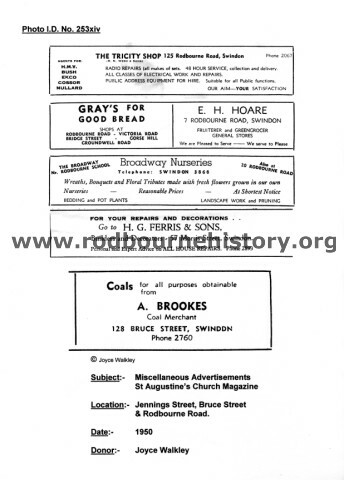 The Wiltshire and Swindon History Centre has kindly allowed us to copy this document. Their ref. is :- 2408-12 Page 57. 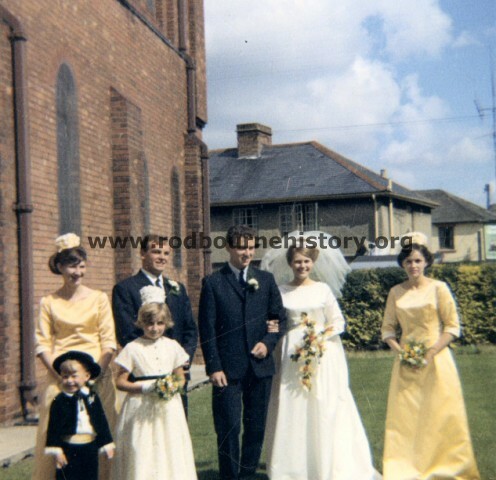 For a photo of the wedding please click on ID 1087. 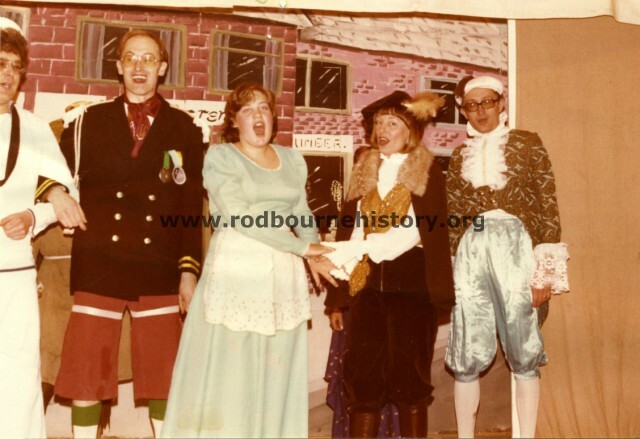 Looking at the date of the marriage this seems to be when Ken had returned to England after taking part in “Operation Houndsworth” in the Morvan district of Central France. 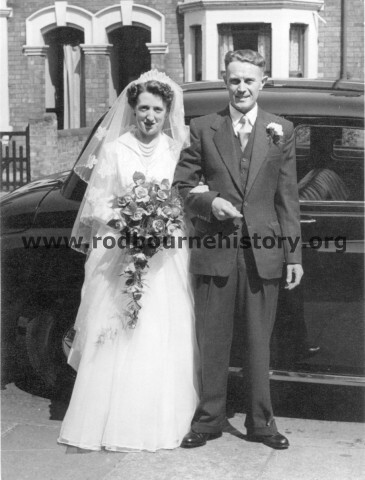 Additional Info – Doris lived at 194, Rodbourne Road and Ken was from Moredon. 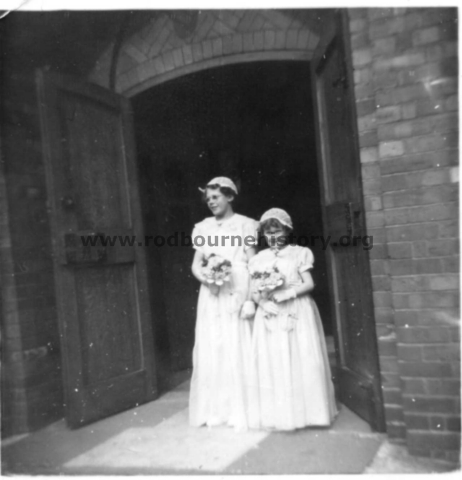 The wedding reception was at the Rodbourne Road Working Men’s Club (Monkey Club) where Doris’s father spent most of his spare time. They were both sweethearts before the war and later lived at the bottom of Morris Street until their deaths. 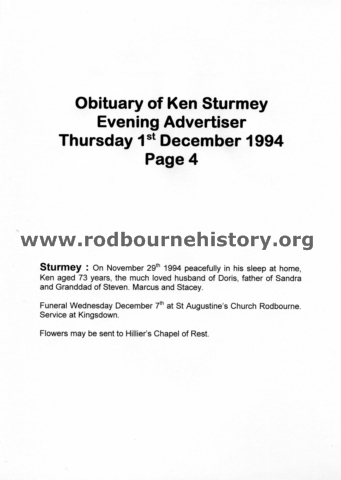 Both had funeral services at St Augustine’s Church. Ken’s Army career started in the Wiltshire Regiment at 19 but he volunteered for the SAS and the family never saw him for four years until just before his wedding. 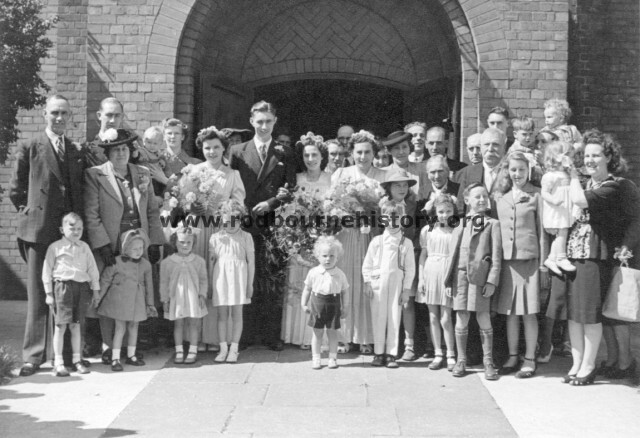 Group Photo info – 2nd Girl from left (front row) Sheila Hazell, Cyril Mathews, Hazel Keefe (Bride) to her left Lillian Keefe, to her left and slightly behind: St Helena Keefe (Aunty Sent) to her left and slightly behind Jock Dunbar, others unknown. 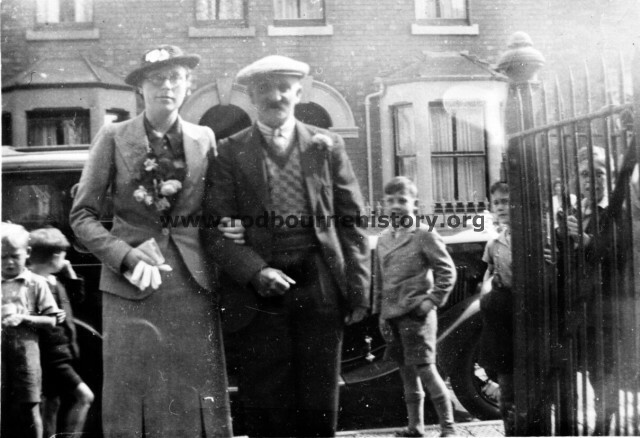 Group Photo info – Elfreda Witts, Charles Hazell. Additional Info – Charles Hazell, giving bride away. Note Elfreda was not related to Witts the Newsagents and lived in Deburgh Street.